As the group neared the gaming area, they saw Popo and Mofead beckoning them with waving arms. Popo had her cut short. It made her look like a boy, were it not for her posturing and the way it accentuated her transformation into adulthood. Mofead was still gangly and thin. She was all knees and elbows with a huge head. Perhaps it wasn’t that her head was quite so large, Penn thought as they advanced on the two young gnomes, but that she had such a vast amount of tangled hair. 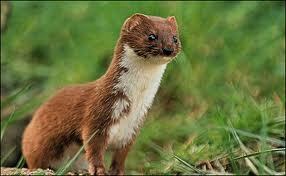 Regardless, the group from Brentwood were all together just in time for their favorite event; the weasel catch. “Hey,” yelled Graff, “You ruined my plan.” He straight at Penn, but did not get to him. Attilla and Bodiford both stepped between. “This doesn’t concern you two. It is between me and him.” Graff didn’t understand how things were in Brentwood.